For basic astrophotography I recommend starting with a wide angle lens and a sturdy tripod. That’s it. Go out there and get some Milky Way or starry sky shots. Take plenty and average stack them (after aligning them). More on this later. To image things like the moon, planets, galaxies and nebula you’ll want to move up to a decent telephoto lens (200-800 mm effective focal length) and an Equatorial Mount. 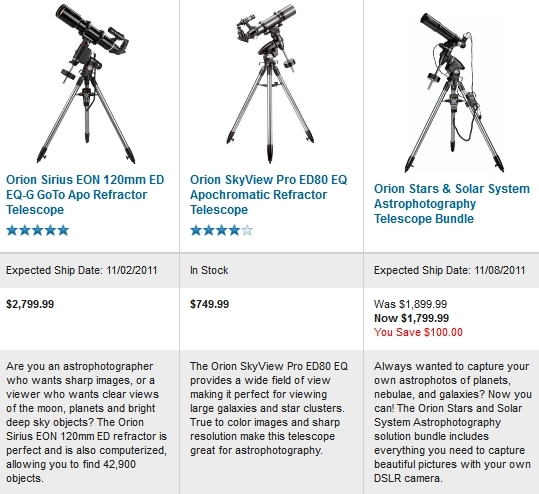 Cheap ($189) and probably useless to decent but limited AstroView Equatorial $350, 26 lbs. Mid-range, accurate with features like autoguide ports, and GoTo: Celestron CG-5GT, $690, 42 lbs; Orion Sirius, $1150, 43 lbs; Orion Atlas, $1400, 76 lbs. All are heavy! High end: A hefty hunk of metal with a hefty price point: e.g. Celestron CGE Pro, $4,400, 154 lbs. I have Orion equipment and they have a local store. Their website makes comparisons easy! The best portable solution is clearly the well made AstroTrac with the power cable, finder scope (upper right) and the drive at the bottom. To use this you need several other bits and pieces shown here excluding a standard camera tripod. It’s a well engineered, portable system. All the gear together (including tripod, drive, camera, telephoto lens, batteries, etc) is about 16 pounds – meaning you can carry it with you. The next closest equatorial drive solution is about twice that heavy. The cost is a minimum of $680 for the drive, polar scope and power cable. But you’ll need some additional head components (about $210), a power supply of some kind ($30) and perhaps a sturdier tripod. The total outlay will be under a thousand making it comparable to the low end of the mid-range mounts. 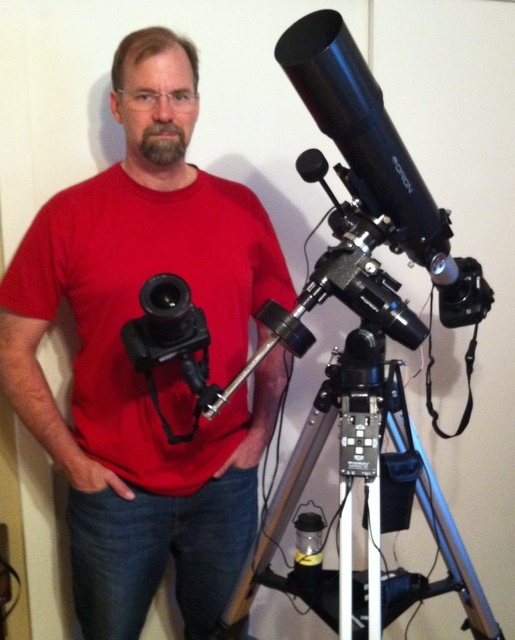 PROS: The AstroTrac is easy to set up, and relatively easy to align if you use the geared heads and the polar scope. You can pack it in a suitcase or a backpack and take it on an airplane! 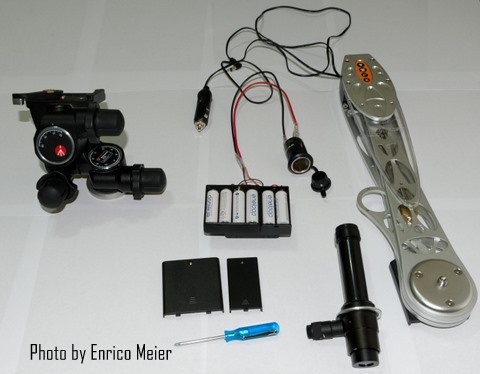 CONS: More expensive than a single drive equatorial mount. Only drives one axis (all that is generally needed). Maximum tracking time is about 2 hours. Repointing the camera may misalign the drive. Need to build or buy a 12V battery pack (though this is easy to do). Need to learn your sky to find things. Go cheap, go big, go fancy… but you’re not going light. 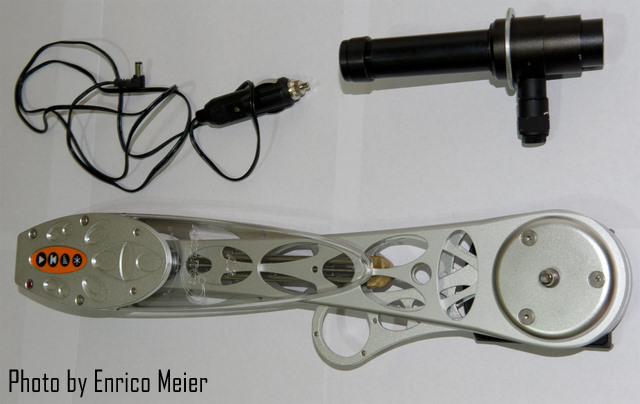 The AstroView – which I have – requires drive motor(s) for another $130 or so bringing the total outlay to about $380. It’s carry weight is about 35 pounds if you include the camera, and all accessories including counter weights. PROS: Inexpensive, includes polar scope, lighter of the many mount options, can support modest refractor or small reflector. Tracks well. CONS: No guide port, limited to about 12 pounds of capacity, no “GoTo” option so you have to learn your skies to use it well. Tripod is thin aluminum. It’s sturdy but may not hold up to extended use. A step up from the entry level mount would be something like the SkyView Pro ($850) It includes a “GoTo” computerized control which is a great help to the novice and helps you with alignment routines. 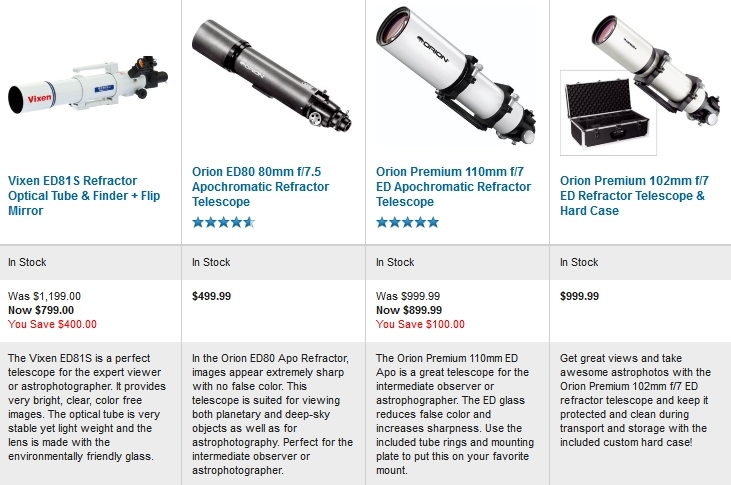 I’d probably opt for the Orion Sirius ($1150) however as it supports 10 more pounds (30 total) and for that extra $300 bucks you also get a polar scope, the ability to use a decently large telescope and fancier drive options. A highly recommend mount is the Celestron CG-5GT at about $690 add $50 for a polar scope. All of the GoTo mounts will “slew” (move rapidly and accurately) from one object to the next and you can enter the object into a keypad to get there. Save even more money by using your computer instead of the “GoTo” unit. 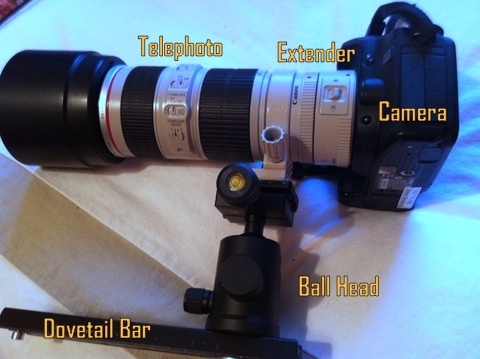 If you opt for a telescope mount, you will want to consider using a ball head for maximum ease of pointing the camera. However you CAN attach the camera directly to the dovetail bar and use it just like a telescope (with limitations on the field orientation). Here I have used a ring collar that couples my telephoto lens to the ball head. This allows me to rotate the camera to change the frame without having to repoint. It’s also better balanced. There is enough room on the front of the dovetail to put another head and another camera. I even “cheated” and am using a camera as a counter weight – see it hanging there in front of me? If you decide to up the ante, here are a few commendable small, light refractors. None are “top of the line”, but I’ve had some pretty good success with the ED80. It’s biggest weakness is that it comes with no mounting bracket, and the focus mechanism is not the “dual speed” (fine focus) option that seems to help fine tune things. I did find that I could mount the ED80 on my scope without mounting rings by attaching it to a Vixen-style dovetail bar and a 1/4″ 20 cap screw. A hex bolt would work fine, too. I drilled out one of the threaded holes in the dovetail bar. This entry was posted in Camera, Equatorial Mount, Gear, Photo Processing, Stacking, Tripod and tagged advanced, astronomers, astronomy, astrophotography, beginning, equipment, intermediate, recommendations, reviews, tips on October 18, 2011 by Steven Christenson. 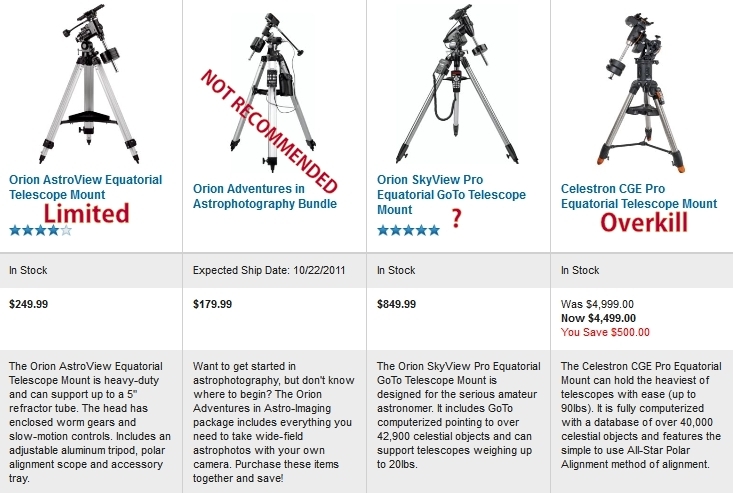 I have a review of the low cost Astrophotography Bundle – bottom line is I DO NOT recommend it. What processing software do you suggest please? Thank you. Thanks for the question, the answer is something I cover in detail in my webinars. There isn’t really a short answer except, perhaps “Deep Sky Stacker” – but that program alone won’t do all you want. Agreed. DeepSkyStacker is amazing, but you will most certainly need Lightroom or Photoshop after it. There is, however another software called Registax. Registax is really designed for a different purpose: creating a still image out of AVI (movie) files and as such is geared toward planetary imaging. And you’re correct, to get a good result with DSS you will want Lightroom or Photoshop — though all that is mentioned in a different article, not this old one. Mike, You didn’t specify what equipment you’re using, or what you mean by lens creep. I’m going to assume what you mean is that the weight of your equipment is a problem on say the Polarie. My experience with the Polarie and heavy (telephoto) equipment is that there are MANY points where slippage can occur and you have to lock down each one. The Polarie itself has no problem, but you can get rotation around the point at which the Polarie is attached to your tripod, rotation around the “plate” that attaches to the face of the Polarie, rotation around the ball head (or whatever you’re using) to attach the camera to the face plate of the Polarie, and rotation where the head attaches to the camera! To make matters worse, the ball head on the face plate of the Polarie is attached via a “pop up” screw and the only way to tighten that is to torque the heck out of the head that is sitting on top of it. So the solutions are: 1. “torque down hard” on all connections. 2. 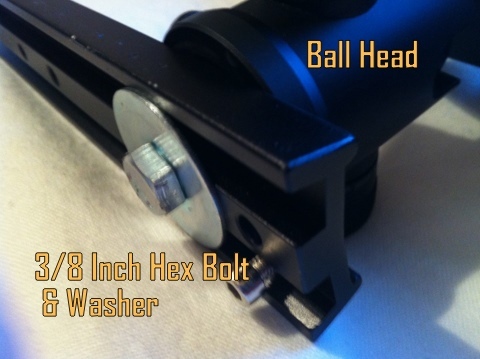 Don’t skimp on heads – a ball head that slips is useless. And one more thing. If your camera is shooting east (i.e. on the west side of the rig), the torque is in your favor. If it’s on the east side, the torque may result in loosening the attachment of the ball head to the face of the Polarie… so shoot things as they rise if possible. Finally, don’t make the torque worse… uses a lens collar rather than the tripod screw on your camera body. In short, even though the Polarie (and SkyTracker and Astrotrac) can handle the load of your gear, that doesn’t mean every point in the system is able to. If you’re not using a Polarie or something like it, you should have far less problem. If using a decent Equatorial Mount you have fewer rotation points and more mass in your favor. But again, if you introduce a head, don’t get a cheap one that cannot hold the weight of your camera at all possible angles. Lens creep is when a zoom lens changes the set focal length without being touched, due to the weight of the glass. Mike, I doubt most people here shoot with normal zoom lenses. You will probably have better luck at http://www.dpreview.com for that question if you haven’t gotten an answer by now. Good point, Joe. Said less delicately: if you have a lens that changes focus or focal length because of its orientation you have… a bad lens. NIce overview, and very helpful to someone like me. Most similar articles overwhelm me; you’ve hit a nice balance here. Thanks. Thanks for the praise. We feel the same way. The alternatives are heavily steeped in “astronomy” or dumbed down to be almost useless.